With “Attention to Detail” being the building blocks of my career, I have built a successful sales business, consisting of Residential, Land Sales, and New Construction. With 18 years in the Real Estate business, I have made Customer Service my top priority. I began my sales career in 2000 as a Realtor and have since earned my Associate Broker’s License in 2005. Along the way, I have received several awards for Exceptional Agent and have also received 12 Distinguished Achiever Awards. To better serve my buyers in today’s market, I also earned the designation of Accredited Buyers Representative. To serve my Seniors, I earned a designation of Senior Real Estate Specialist to help the 55 and up buyers and sellers with a more effective transaction to suit their specific needs. My sellers are no less important and I strive to get my homes sold quickly while netting the most for my seller at the end of the day. I believe in Quality Professional Pictures to showcase my homes and internet based advertising. By putting a Network of experienced professionals in place, I focus on the smoothest transaction possible all the way to closing day. Currently, with homeowners facing losing their homes, I have also earned a Certification in Foreclosures and Short Sales, to try and keep most homeowners in their largest investment, if possible, or to be their best representative if there’s no other alternative. I have always been involved in the community, from a Habitat for Humanity volunteer, to Church and School participation, as 13 year member of the Parent Teacher Association. I have one 24 year old son, Kyle, currently in college and a one-eyed Cat named Wink. As a self- motivator, I am known for meeting challenges and getting results. I believe communication, negotiating and most of all, listening are the most effective tools for my Real Estate business. "Tami represented me and other family members as sellers of a house acquired through an inheritance. Tami was highly professional and always available throughout the sale. When contacted, she responded promptly and made every effort to communicate effectively to each of us. Whenever anyone viewed the property she sought feedback and shared whatever she learned with us. She gave us feedback to make the property more attractive for listing and offered some personal items to boost the decor. She assisted in every step of the sale...offering the name of an inspector, repairman, painter, etc. She scheduled several open houses and monitored the online listing, always communicating viewership and interest. I greatly appreciate Tami's work ethic, professionalism and kindness throughout the entire process." 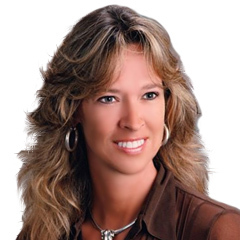 "Tami Crouch went above and beyond with helping us sell our home. She has the patience of a saint and never made us feel like a bother when we asked our (many) questions. Her real estate knowledge and experience is top notch. Tami is someone you can trust 100% to have your best interest at heart when going through what can be a complicated process of buying or selling your home. You won't find someone better to represent and take care of you than Tami Crouch."